Up to 20% off Tours and Attractions Throughout the United States. 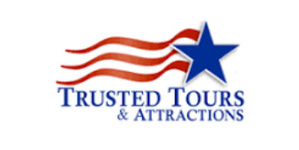 Trusted Tours and Attractions provides tickets to top US sightseeing tours, world class attractions, museums and other amazing things to do while on vacation. Our selection includes over 500 products in 23 top city destinations including New York City, Boston, San Francisco, San Diego, Las Vegas, Key West, Miami, Chicago, Washington DC and more! A sampling of our product mix includes: Sightseeing Tours, Helicopter Tours, Whale, Watching Excursions, Airport Transfers, Bicycle Tours and Rentals, Dinner Theater Productions, and Rail Tours.